There are several ways investors can gain exposure to the silver market. They include buying the physical product in the form of bullion or coins, trading silver futures, and buying silver mining stocks. However, the easiest and most convenient method for most investors will be buying an exchange traded fund that tracks the performance of silver. Now, an exchange traded fund or ETF is traded the same way a stock is, through a stock exchange. However, an ETF is similar to a mutual fund, but they tend to have lower fees, making them an attractive choice for an investors. An ETF invests in the underlying assets and divides ownership of that into shares. Like stocks though, they are easy to buy and sell through the open market. When it comes to silver ETFs you have choices. Let’s take a look at some of them. iShares Silver Trust (NYSE: SLV): This ETF seeks to repilicate the price of silver, net of expenses. It gives investors exposure to the day-to-day movement of the price of silver bullion. The Trust is not a standard ETF. In other words, it is not subject to the same regulatory requirements as mutual funds. The Trust does not buy or sell silver in an attempt to make short-term gains in the fluctuation of silver prices. Instead, it receives silver deposited with it in exchange for the creation basket of shares. It only sells silver to cover the Trust expenses and other liabilities, delivering silver in exchange for baskets of shares surrendered to it for redemption. 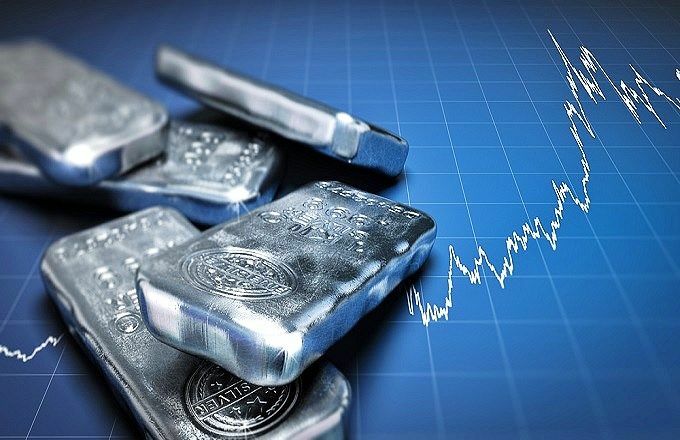 SLV is a highly liquid trading vehicle, as more than several million shares trade on average per day, making it the most popular silver ETF based on trading volume. You can also trade options on SLV as well. ETFS Physical Silver Shares (NYSE: SIVR): The Trust seeks to replicate the price of silver bullion, net of expenses. All silver is priced off and physically backed by the London Bullion Market Association’s rules for Good Delivery. The Trust has over $300M in net assets, making it considerably smaller than SLV. However, it’s expense ratio is only 0.30%, which is 20 basis points lower than SLV. SIVR approximately trades 100K shares on a daily average. However, shares trade in a relatively tight spread. In addition, SIVR has options available to trade. Although not as popular, the smaller expense ratio makes SIVR a compelling alternative to SLV. For those looking for more action and leverage there are two levered ETNs that you should know about. Unlike ETFs, an ETN is an unsecured debt note issued that is issued by an institution. Very similar to a bond, an ETN has the potential to default, something you should consider before investing in them. VelocityShares 3X Long Silver ETN: (NASD: USLV): This ETN is issued by Credit Suisse AG. It seeks to replicate three times the S&P GSCI Silver index ER, net of expenses. The index consists of silver futures contracts, typically all in the same expiration period. The ETN has over $200M in net assets. An carries a relatively high next expense ratio at 1.65%. Shares of USLV are actively traded, as they average daily volumes of approximately 2M shares per day. Given its above average next expense ratio, and how it tracks an index that constantly has to roll futures contracts over, USLV doesn’t make much sense for long-term investors. However, traders may like it if they’re looking for leverage and only plan on holding for a short time frames. VelocityShares 3X Inverse Silver ETN (NASD: DSLV) Issued by Credit Suisse AG, it seeks to replicate three times the opposite of the S&P GSCI Silver index ER. The index consists of silver futures contracts, typically all in the same expiration period. The ETN works in the same way as USLV but instead of benefiting 3x when silver prices rises, it benefits 3x when silver prices drop. DSLV is small, with less than $50M in net assets. It expense ratio is relatively rich, at 1.65%. Several hundred thousand shares trade daily in DSLV. DSLV suffers from the same problems as USLV, a high expense ratio, and the constant dealing of rolling silver futures contracts. Making it only suitable as a short term trading vehicle. In the long-run, investors have too much to overcome to justify the risk. Over a five-year period, SLV was down nearly 12% DSLV posted negative returns during that same period. Of course, this doesn’t matter a whole lot if you are a day trader or someone who takes on short-term swing trades. But on a longer time frame, leveraged ETNs have failed to show the returns to justify their risk. Silver ETFs are convenient and offer investors and traders a way to gain access to the silver market. The two best silver ETFs are the iShares Silver Trust, and ETFS Physical Silver Shares. These two ETFs do an excellent job of tracking the performance of silver. SLV is the larger of the two, but SIVR carries a smaller net expense ratio, which makes it a viable choice among long term investors. Investing in these two silver ETFs is a lot safer than trading silver futures, because there is no margin risk. Silver ETFs are more liquid than the silver bullion/coin market. By the press of a button on your PC or mobile device you can be in an out of an instrument that tracks silver. They require just a small investment. Some bullion dealers require a minimum investment that might be too high for small investors. If you’re okay with trading paper assets tied to silver, ETFs are a great choice. 3 Silver Mining Stocks That You Need To See Is 2018 The Year Of Silver Penny Stocks?